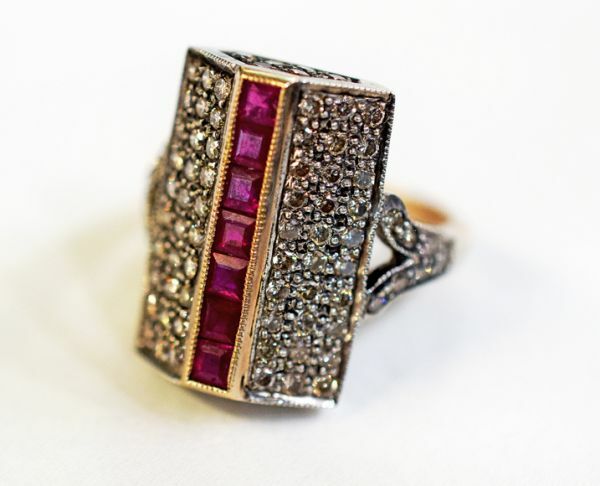 A beautiful Art Deco style 18kt yellow gold and silver top mill grain ring featuring 7 square cut deep red rubies, est. 0.98ct and 86 round brilliant cut diamonds, est. 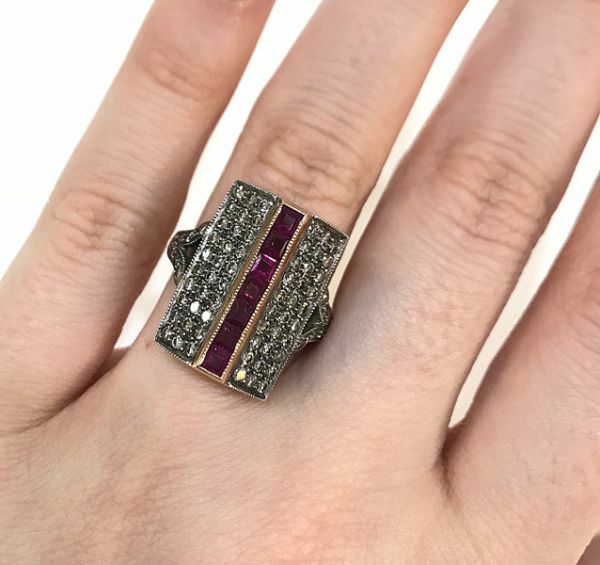 1.25ct (SI clarity & L-M-N colour).